2 Tile Mate: Key Finder. Phone Finder. Anything Finder. Tracking tags are all the rage these days. From tiny tracking devices for keys to GPS locator devices, you never have to lose your keys again. The TrackR Bravo is a brilliant invention that uses Bluetooth to communicate with something you probably always have with you—your smartphone. Now you can just ask your phone where your keys are. This durable little disk will make sure whatever is attached it to will never be lost again. Besides putting it on your keychain, you can clip it to a wallet, a backpack, or anything you don’t want to leave behind. First, install the TrackR app and make sure the TrackR tag has a battery in it. Once you’ve paired the tag over Bluetooth with your phone or tablet, they stay in contact with each other. Their communication uses very little battery power and isn’t noticeable unless the TrackR and your phone go too far apart. Bluetooth is a communication technology that works over short distances, like up to 30 feet indoors, depending on interference from other radio frequency devices and structures like walls. This short range is ideal for device tracking. As soon as your tagged item or your smartphone heads out of range, the TrackR alerts you that something’s missing. Let’s say you put your phone in your pocket but leave your keys on the counter as you rush off to work. The TrackR app will sense the loss of contact with the phone and cause your phone to ring, even if you put it on silent. In reverse, if you put the keys in your pocket but leave your tablet or phone on the table, the TrackR Bravo on your key chain will ring to remind you to go back for your phone. Maybe your keys are just buried in the laundry or between sofa cushions. It happens. You can make thetrackr tag ring until you find it wherever it’s hiding. Finally, let’s imagine that you left your tagged item at the mall or in a restaurant. But it’s not a small GPS tracker so how do you find it again? The answer is crowd-sourcing. If other people in the area have a TrackR Bravo and their Bluetooth turned on, they can unknowingly help you find it. The TrackR app can show you on a map where your item was last “seen” by other TrackRs without revealing its location to other users. That way you don’t have to worry about thieves getting to it first by tracking it themselves. The TrackR Bravo runs off one CR1616 coin cell battery that is simple to replace. Battery lasts about 1 year. It uses Bluetooth 4.0, so the range outdoors is up to about 100 feet. Ringer on the device is fairly loud at 85dB. You can tag several devices with their own TrackRs and manage them all with your phone. The app is free to download and use for iOS and Android, even with multiple Trackr Bravos. Do you want to see the TrackR in action? Check out this user’s review video here. Tile Mate: Key Finder. Phone Finder. Anything Finder. Similar to the TrackR Bravo is another Bluetooth tracking device called the Tile Mate. It’s a little square with a hole in the corner so you can attach it to a key ring, a bag, or whatever you want. Install the free app on your Android or iOS smartphone and you can keep track of your items. Just like the Bravo, the Tile Mate will warn you if you leave the area without either your keys or your phone. And it can harness the power of other Tile Mate users to help you locate something you left behind. First, install the app on your phone or tablet. Pair your phone with the Tile Mate tag and attach it to your keys or other possession. Once either your item or your phone moves away, it will alert you to that the other thing is missing. You can also make the Tile Mate play its tune for you if you’re trying to find keys you’ve laid down somewhere nearby. The sound can then lead you right to them. Unlike the TrackR, the Tile Mate lets you choose one of four different ringtones it plays. You can use the free app to manage multiple Tile tags at once. It won’t drain your phone battery to link to additional items. You’ll only use cellular data if you are using the map feature and you don’t have Wi-Fi available. The map on the app helps you find a tagged possession that you left behind. If other active Tile Mate users are near it, their data will show its last seen location on the map. Tile says they have sold over 5 million devices, so it’s a pretty good bet someone with a tag will nearby, especially if you’re in a city. The Tile Mate app only works for iOS 8.1 and higher and Android 4.4.2 and higher, but may work on 4.4 if your phone or tablet uses Bluetooth 4.0. The only downside to the Tile Mate is that the battery isn’t user-replaceable, although it does last for about a year. You’ll need to buy a new Tile tag or else send yours in for a discounted replacement. Besides putting it on a keychain, you can use these tiny tracking devices for other purposes. Some innovative users have placed tags on their pets so they know when their pets go outside to the yard. Others have tagged items they don’t want to go missing from their work area. Travelers that sleep in hostels or on trains appreciate getting a warning if their luggage is being moved. 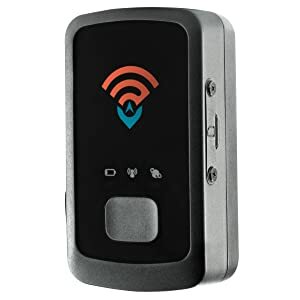 Now that you’ve seen a couple of Bluetooth trackers, check out this small GPS tracker below. The Spy Tec Mini Portable Real Time GPS tracker isn’t a Bluetooth tracker, it’s a matchbox-sized GPS tag device that requires a subscription to use. It’s accurate down to 15 feet. You can attach it to a vehicle, put it in your child’s backpack, or use it to find other things or people that are important to you. For example, let’s say you have a grandfather who suffers from dementia and wanders off. Make sure the Spy Tec STI_GL300 is clipped to his belt and you’ll know exactly where he went. He can also use the device to call for help if he’s not feeling well. Perhaps you have a teen driver in the family and you’re concerned about where they have been going at night. You can view the travel history of your vehicle if the tracker is attached to it. You can also place the tracker on a pet or on inanimate objects that you need to keep safe. Some companies use this and similar devices to locate heavy equipment that they loan out. If you want to use the Spy Tec as a GPS key finder, you can certainly do that. 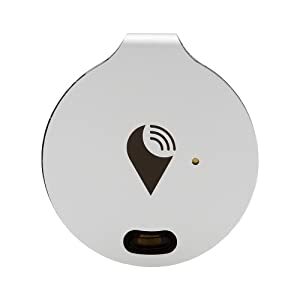 It makes for a rather expensive GPS key chain because you have to pay a monthly fee to use it, so the Tile Mate or TrackR with their free apps might be better suited to that purpose. Spy Tec explains that they have no activation or cancellation fees. You simply buy their device and then pay $25 a month to use it for tracking. Use it for a while, cancel their service, then start it up again when you need it. Login to their site and use their system to locate the person or item in real time. The interface shows you the information on Google Maps so you have the benefit of Street View and information about businesses and more right at hand. The location of your tracker updates every 5 seconds. Besides real-time tracking, you can see travel history and download reports to your phone, tablet, or computer. These reports are customizable according to the data you want to see. You can also set up geo-fencing. This means you can receive an email or a text message to tell you when the tracker is on the move out of a certain area. If you give the tracker to a child or an adult with health concerns, you can pre-program it to serve as an SOS alert device. There is a button that they can push and it will automatically contact the police, family members, or other helpers and provide the location to them. The rechargeable battery lasts about two weeks. The STI-GL300 has an accelerometer that detects movement and powers up the device only when needed. It weighs about 2 ounces and measures 3 inches in length. Spy Tec backs up their promises with a 100% satisfaction guarantee and 30-day hassle-free returns. Is it coded to the first device paired with so no one can steal it and use it for themselves? great question, Toni Logan ! it’s coded to the first device connected but can be reset by removing the batteries from the device. There is a same device Nut Find Tracker, which connects with Bluetooth and GPS. Nut Find is Light, cheap, reliable, long-lasting battery, Doesn’t drain your phone’s battery, portable, nice looking, well-thought software and feature set, multiple Nuts can be connected to one device.